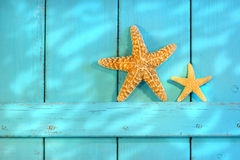 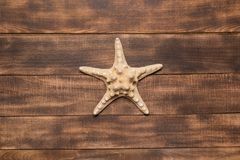 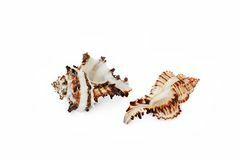 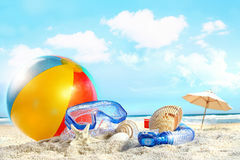 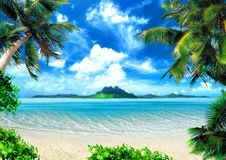 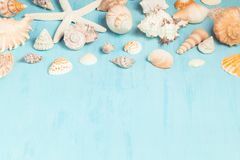 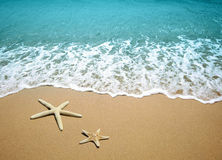 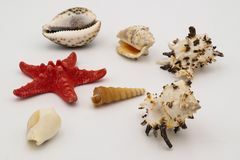 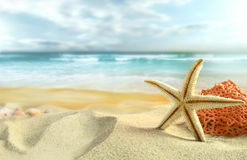 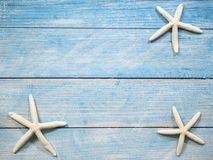 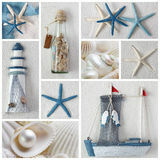 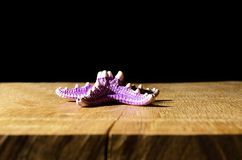 Summer Wood Beach Starfish Background. 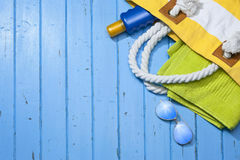 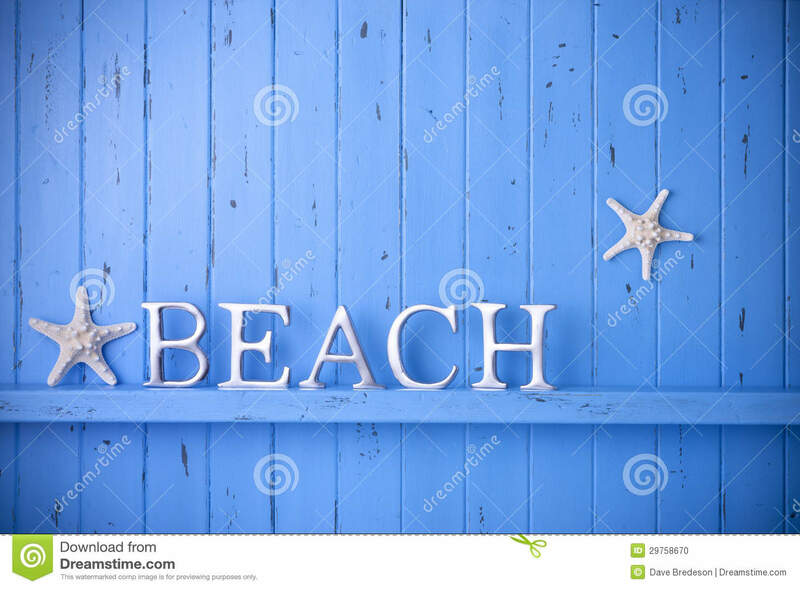 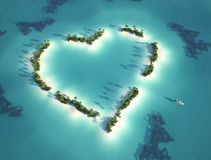 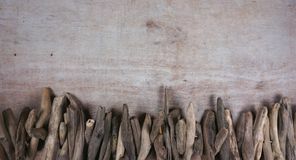 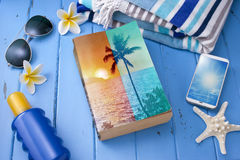 A blue painted rustic wood background that has the word Beach spelled out in letters. 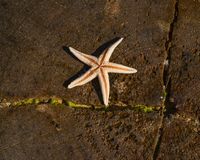 With two starfish. 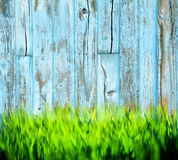 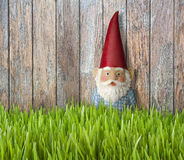 Could be a fence or a wall.